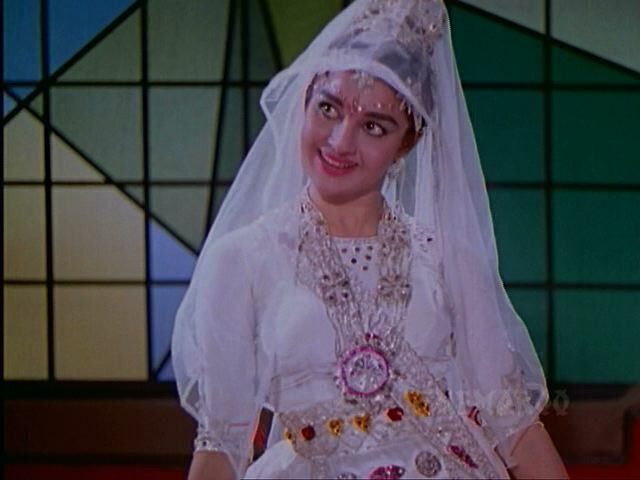 ‘Hum Hindustani‘ was made in 1960, and it strikes me that this was the year my parents married. My father was 27, my mother 20. 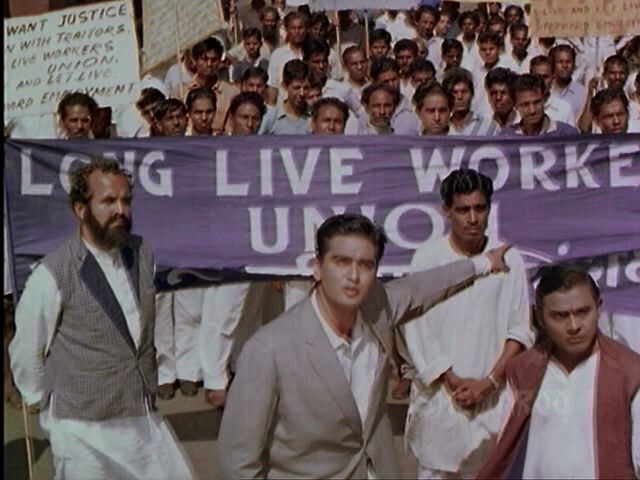 The film reflects the still-upbeat Nehruvian philosophy of the time, the concept of a new industrial India, that would conquer all the problems besetting the country until then, the faith in a youth that was charged with idealism and hope. Sadly however, the film seems to come together in flashes. The movie is a bit of a ramble, not leading up to anything much. 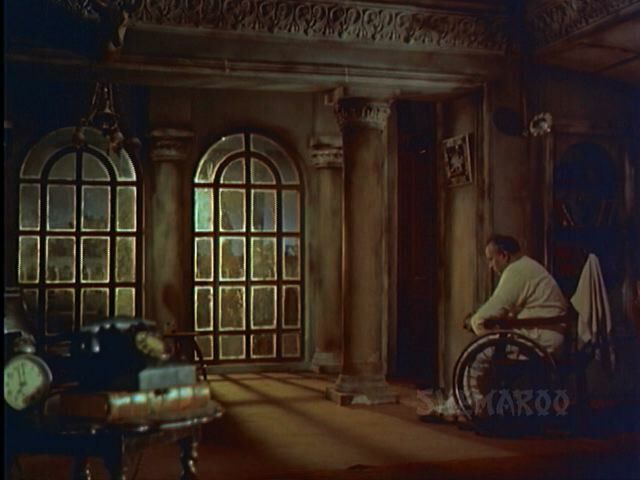 and a father, Amarnath (Mubarak) in a wheelchair, in a huge house falling to pieces. It does have a lovely Saraswati on stained glass across its stairway though. The family is embroiled in a court case which Amarnath refuses to give up on, even if he has to lose his wealth, because he believes he is right. 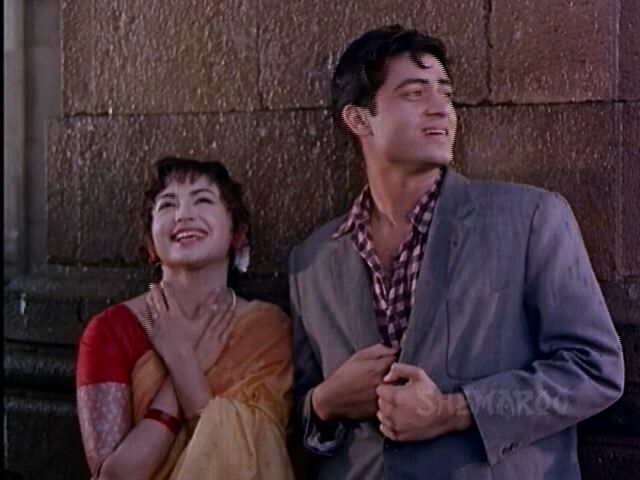 Sukhen and Satyen are both engaged, the first to Sudha (Asha Parekh) and the second to Kalpana (Helen). Sudha has been studying abroad, and her father breaks the engagement while she is away once Amarnath loses the court case and his wealth. Of course, Sukhen and Sudha have never seen each other. 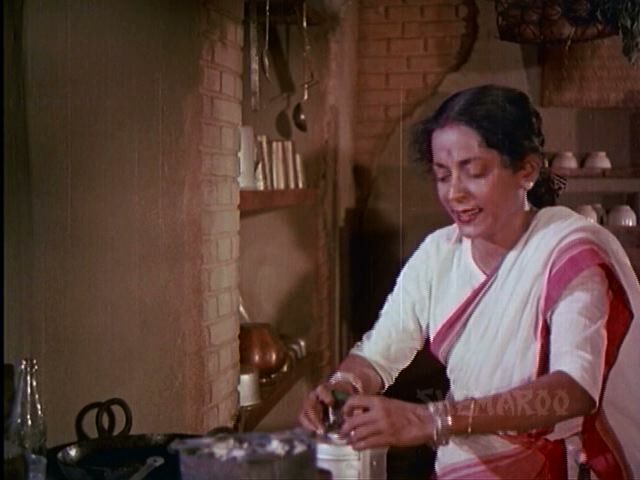 Sudha comes back from abroad, and subjects her family friends to a dance. 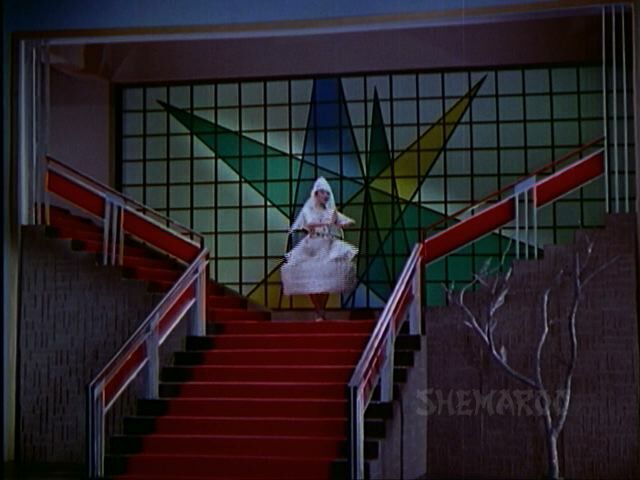 The abstract stained glass backdrop on the stairway of her home helps her performance. 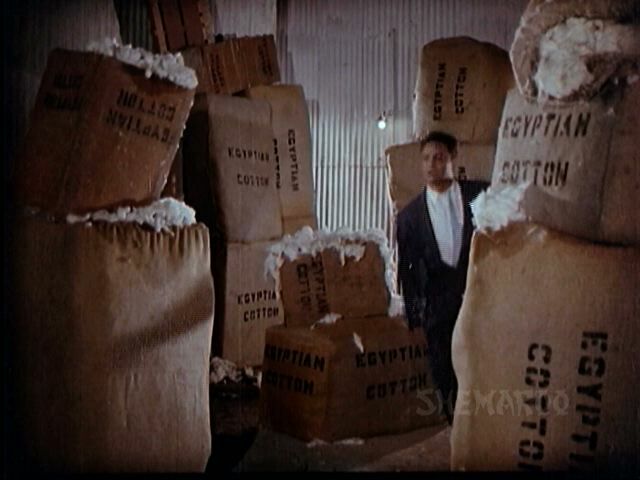 which is across the office of the Mafatlal Group, a big textile group at the time. He also writes books in his spare time. 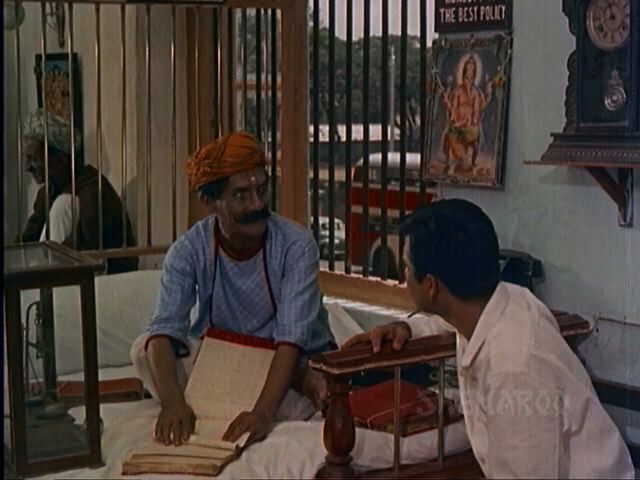 A bestseller called ‘Hum Hindustani’ which gives him 10,000 rupees in royalty after selling 500 or 600 copies. Aspiring writers, make a note! there is the mandatory accusation of stealing and court cases, there is a huge fire in the mill. There are moments, but not a real cohesive narrative. 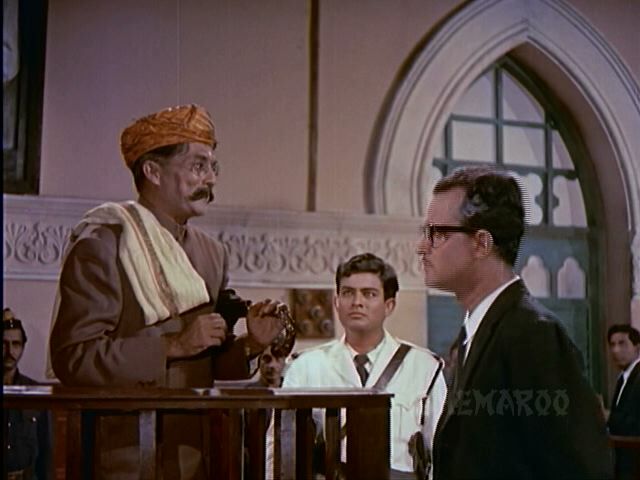 There is a scene when Sukhen hits Satyen in anger, furious that he could have believed that Sukhen has stolen money from Satyen’s boss. Leela Chitnis comes in, stops him, and holds Satyen. The father comes in at the back and sits there, looking. Sukhen calms down, but still feels helpless. There is hardly any dialogue but the scene is so powerful. There is some serious color-co-ordinated ragging by Sudha’s friends of Sukhen and Sudha at a picnic. and near the Gateway of India, singing. I imagine my newly-wed parents walking around the Gateway on Sundays, though not singing, of course. Sadly. There is a large vacant stretch between the road and the Gateway which is as I remember it from childhood, not the barricades, and cars, armoured trucks and security personnel of today. There is a Victoria ride, which is what the horse carriages were called then. But I am sure that even then, you couldn’t eat ice-cream at a roadside cafe near the Taj. 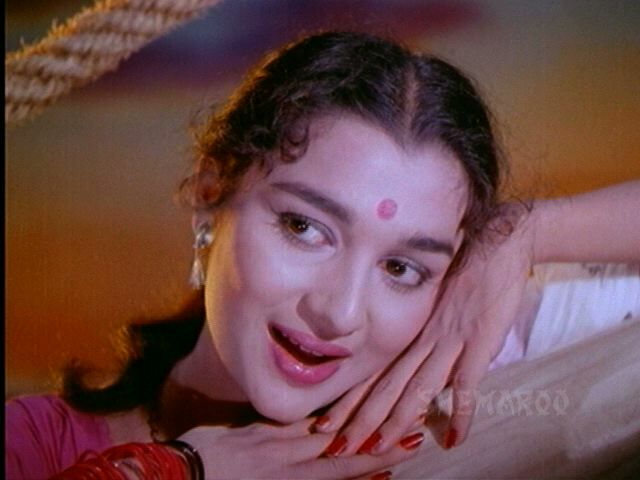 And Asha Parekh singing on a boat. the rich and the poor. Even the fantasies, the light-hearted comedies seemed rooted in the real world. Films were made for the crores of people who made up the working population. I grew up in Agripada. My father for a time, had a small factory manufacturing tins for biscuits. My uncle worked as a clerk in another factory. My aunt was married to a factory worker. My younger uncle owned a small garage. 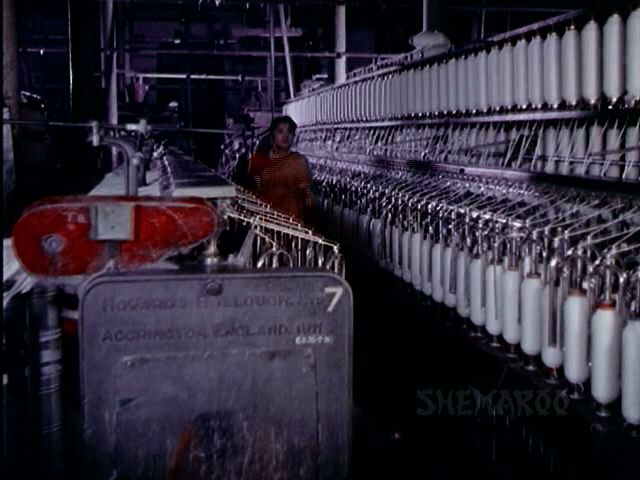 My friend lived in a mill-worker chawl because her father worked in a textile mill. Her house was little bigger than a big cupboard, and I remember 8 or 9 of them lived there. All around us were the movie halls. 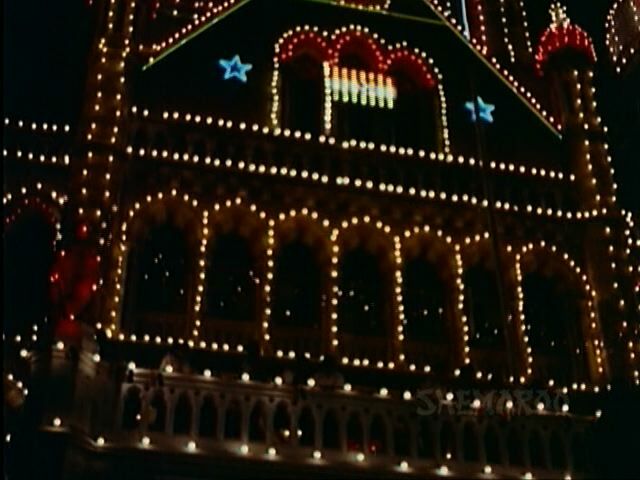 Maratha Mandir, Ganga Jamuna (wonder of wonders, 2 twin theaters in one complex), Minerva, Naaz, Novelty, Apsara, Edward, Albert, Shree Vijay, and so many whose names I cannot remember. Some of the movie halls were beautiful, and grand, with lovely, sweeping stairways, chandeliers, carpets, murals on the walls, some were bare with wooden seats and rickety fans. It did not matter to us as my mother was crazy about going to the movies and so were we. Usually, we walked to one theater or the other, with my mother and one or the other of her friends, or aunts, or cousins. We watched movies incessantly, sometimes in the balcony, sometimes in the lower stalls, we hung around movie halls an hour before the movie was about to begin, dreading the idea that we may not get tickets, that the show would be houseful. It never occurred to my mother who dragged us everywhere that we were watching movies with mill-workers or cab drivers, or hand cart pullers. We just took the tickets we got. I don’t remember her ever being teased or stared at, even though she was a very beautiful woman. 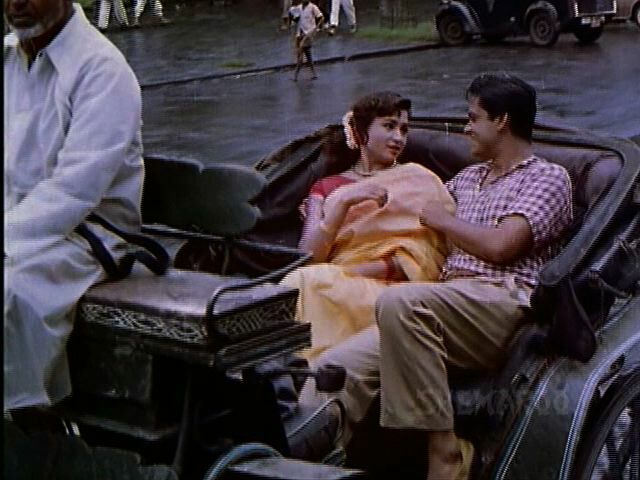 Bombay even then, was no-nonsense. People came to see a film, and they didn’t care who sat with them. It was movie-theatre land, a theatre every few meters. Much later I also learned that this is where most of the film distributors had their offices as did some production houses. 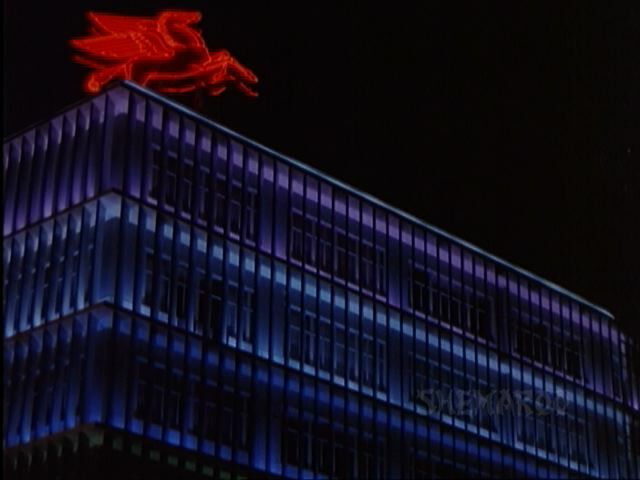 It was also the land of the dancing girls, the red-light area, the horse stables, and the bridge clubs. Now I know that it was also the land of the background dancers and the choreographers. Is it any wonder then, that the movies seemed so real to us? 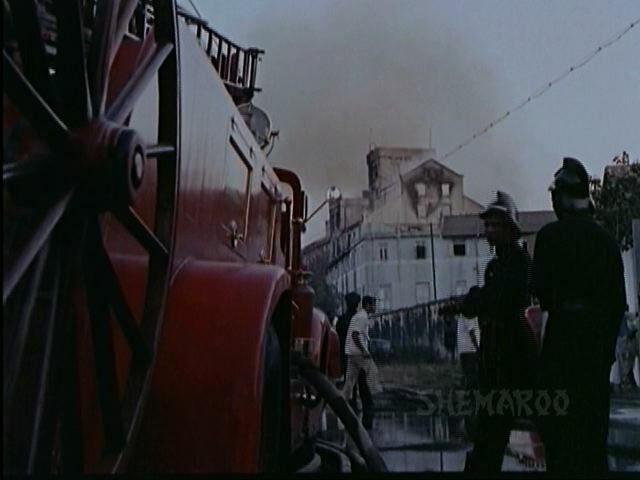 Even Kashmir, which appeared in several films and as different from Bombay as it was, seemed familiar and our own. 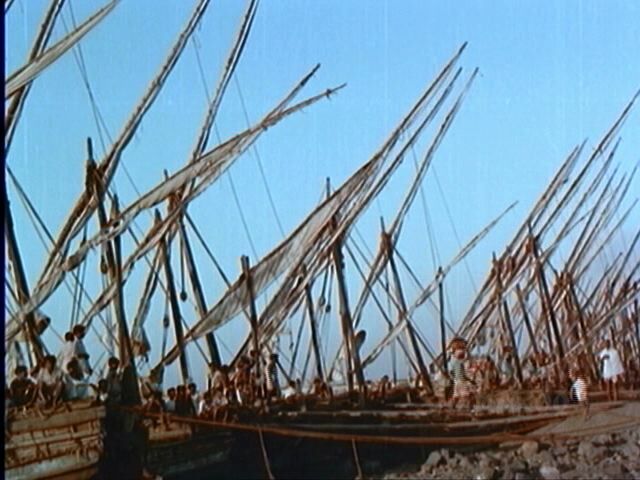 Soon the mills became empty hulls, useable as shooting locations only for the climax fights. Now even the last remnants of the mills have disappeared, most of them have been transformed into malls and entertainment complexes. Our films too seem to have followed the trajectory of the mills. Films mostly are now products, bits of stimulation offered up to the consumer. 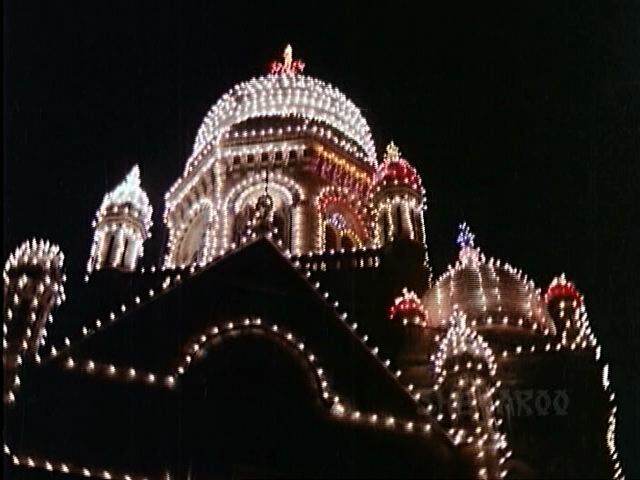 ‘Hum Hindustani’ ends with a montage of fairy-lit Mumbai monuments, the Victoria Terminus, Gateway of India, the Municipal Corporation building. 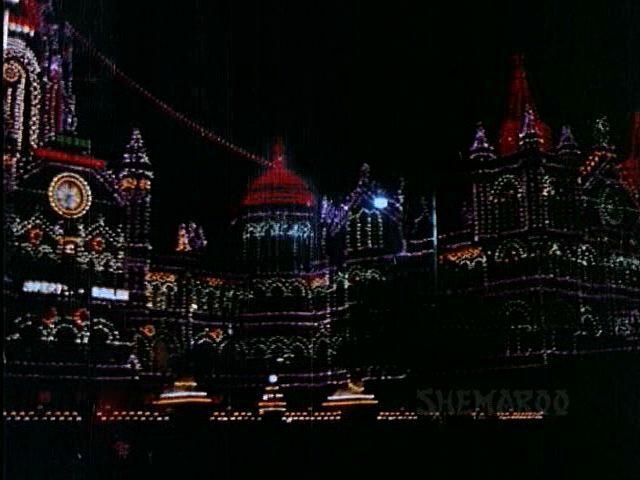 It confirms my memory of being taken to see the lights as a child, on Independence Day or Republic Day. I remember the streets being very, very crowded, people in trucks coming to see the sights, food on the streets, fireworks. But like all my memories, I have held this one a little suspect, unsure of whether anything like this ever happened. Now I know it did. Such a beautiful review, Banno. You make me want to see movies that I’m sure I won’t enjoy! 🙂 But yeah, I have the same complaint about movies today: they seem so very fake. Even with the huge mansions and stained-glass windows, the people used to seem real. 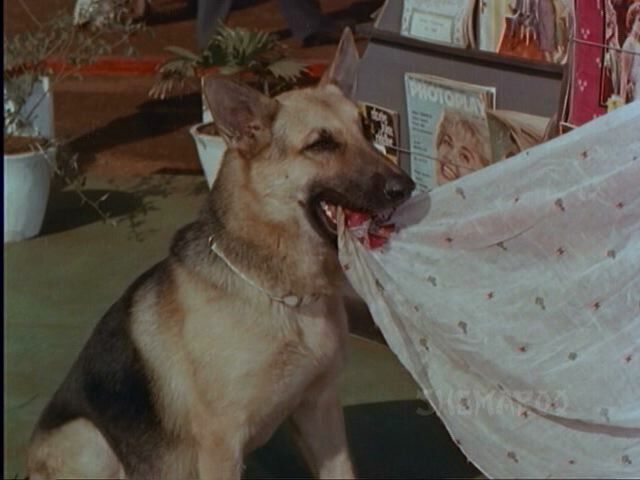 Now very few movies seem to have characters I feel I could meet on the street. Yes, fake, fake, fake. Sad! That is why I end up watching so few new movies! 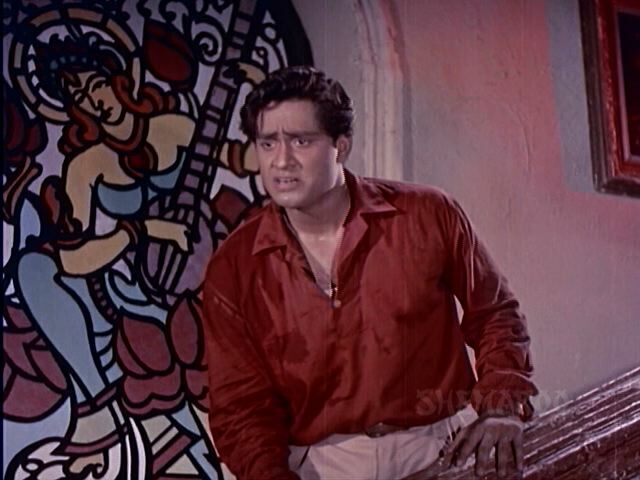 Great review, Banno – and oddly enough, I was thinking about this film just the other day when I was watching Insaan Jaag Utha, because I remembered Chhodo kal ki baatein and the Bhakra Nangal Dam in this, while Insaan Jaag Utha was set against the backdrop of the Nagarjuna Sagar Dam… coincidence. Thank you, Sharmi. Watch it, anyway. It’s nice, as I said, for all the images of old Bombay. 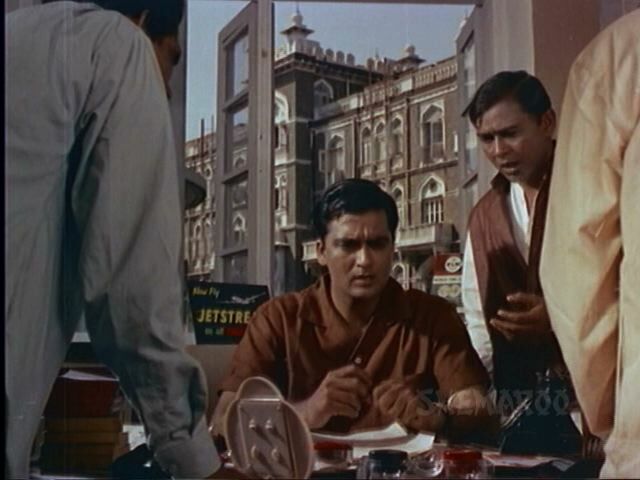 Banno, what a wonderful tribute to your childhood and the city of dreams or should I call it the no-nonsense city? 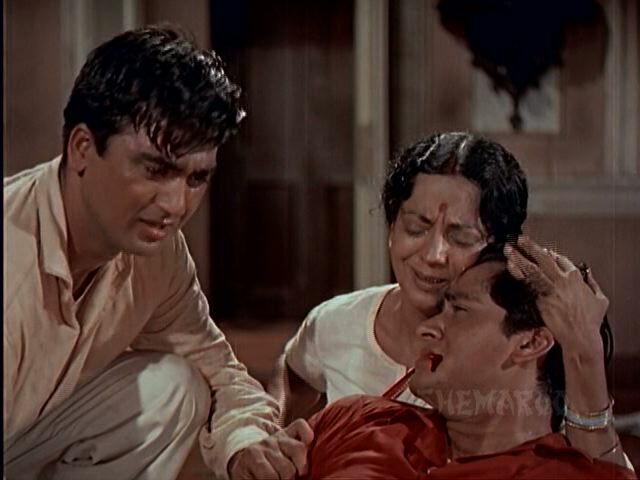 my parents were also movie crazy and they indulged us, the kids quite merrily. they still are, give them any good movie, they can sit for hours and watch it several times. ah! the power of cinema. Sukanya, I think ‘no-nonsense city’ is a better name for it. City of dreams has been over-used much. 🙂 Indulged is the right word, my parents never stopped us from seeing any film, or reading any book. Really careless, they were. Today’s movies reflect today’s times. That’s all. Where is the idealism among the people today? The lines between right and wrong are blurred so much that today’s heroes seem worse than yesterday’s villains. 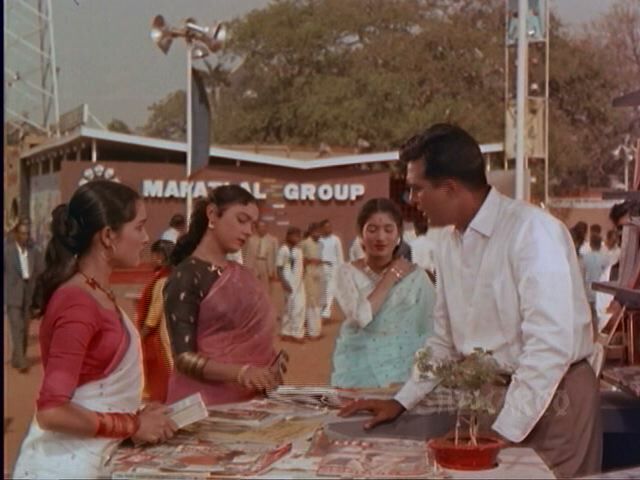 Anu, ah, Madras. Teja has just returned from a 8 day trip there. 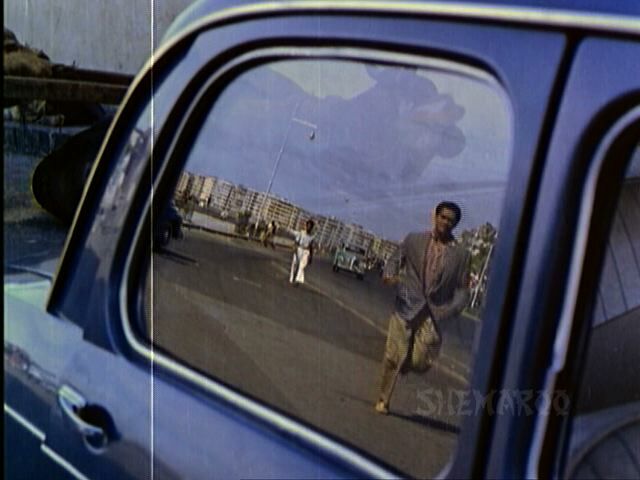 He shot a documentary on Alarmel Valli, and there was a big screening there, etc, etc. He speaks highly of the food in Madras. I’ve just ever stopped in for half-an-hour on my way to Pondicherry. I would hate to dismiss the entire generation as non-idealistic. But movies have become corporate-house ventures and hence, like advertising, they reflect what the honchos think will ‘sell’. Banno, while I wouldn’t catechise an entire generation as unidealistic, I would definitely say that cynicism is on the rise, and an attitude of ‘every man for himself’. The head honchos of corporate houses are right, don’t you think, when you see the abysmal quality of films that become ‘super hits’ these days? We do deserve the movies we get! However, you are right in that, so many people seem to enjoy or be content with the slip-shod stuff they are getting right now in the name of ‘film’. Or television, for that matter. Attention spans are at an all time low. So we do ‘deserve’. 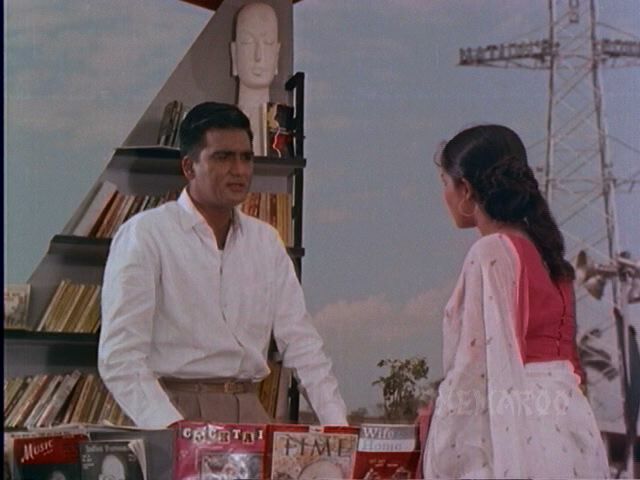 Surprisingly, when I read Premchand, Harivanshrai Bachchan, Balraj Sahni, I found that even they had problems with their times – people were corrupt, greedy, selfish. 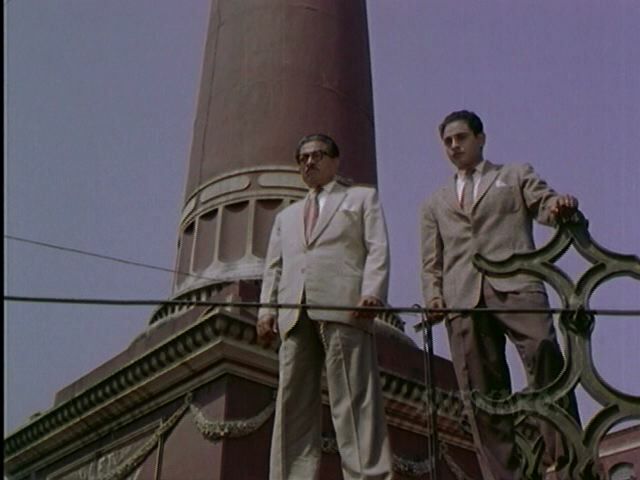 Balraj Sahni had issues with a lot of the films he worked in, thought they were straight lifts, or unimaginative. I guess the human story does not change much. Oh, Banno, now I HAVE to see this! Thanks for this- it is indeed a fabulous review! Kate, please do. I’m really eager to read your take on one of these Hindi movies. I’m sure you will come up with something unusual. 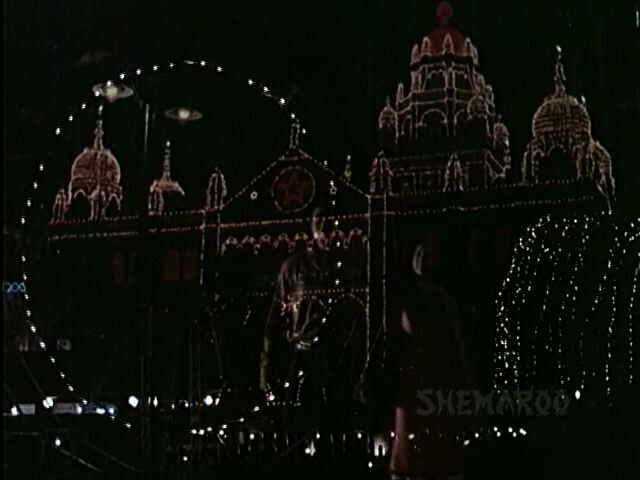 I saw this one back in good old days of DD, on a B/W TV, and never realised that it was a color film! And the colors are glorious! 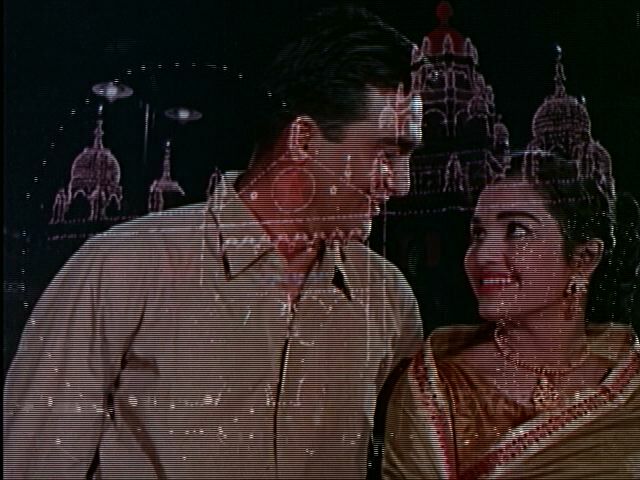 Must see this just for that, and for Bombay of yore. 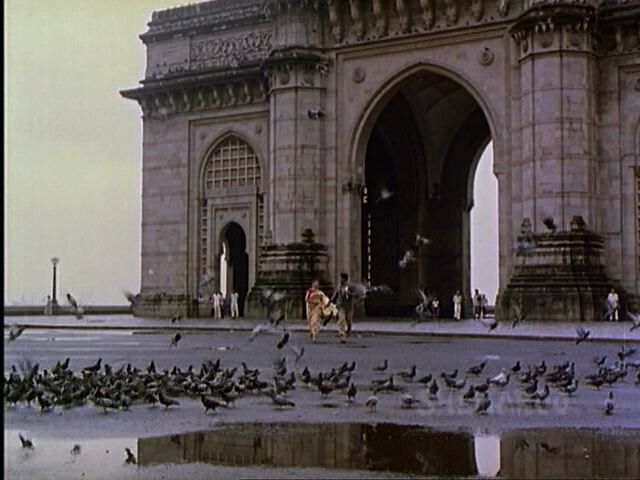 Some parts of Bombay are still very similar – the last time I saw Gateway of Indian, there were no guards or barricades there (and I’d rather remember it like that!). I do remember VT landscape changing quite a bit after the pedestrian subways were built there in the late 90s – it looked so much prettier before, but I was thankful not to have the cross that busy intersection with all that traffic around. 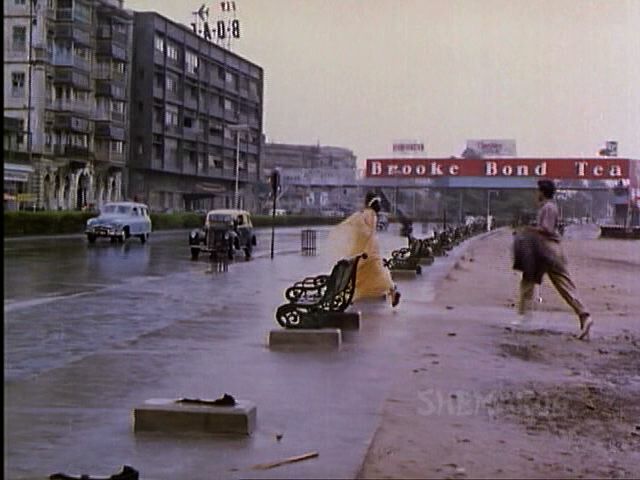 Bollyviewer, yes, the barricades at the Gateway (and elsewhere) make me so sad. Pedestrian subways are useful, but I don’t know what stops the people in charge for making an effort to co-ordinate them with the existing monument. They don’t have to be ugly. A lovely review Banno, you make me want to watch the movie.. like now! Totally loved it! Thank you, Violet. Are you back from ‘phoren’? Hehe.. no, I am here for a month. So will be back just before Christmas. Good, have a great time. I hope ‘the guys’ are taking care of you. Now, I miss Bombay as well! Though we hardly made any tours through down-town. I think till I was 15, I went only once to Gateway of India. Thank you, Memsaab. It’s not a great movie, nor too much fun, so it would be easy to forget.